Williams Food Equipment is hosting another bread making demo this Saturday, April 12, 2014, from 10:00am to 2:00pm. 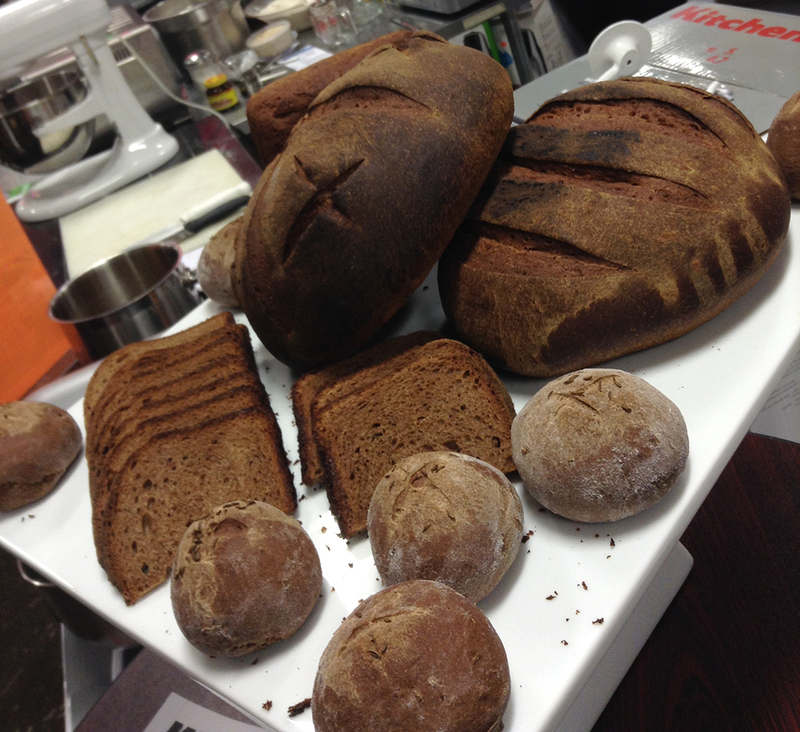 Last week, Chef Helmut Markert made a fantastic German Dark Rye Bread which Williams was kind to share with us below. This upcoming weekend, it seems Chef Markert is leaning towards making German Pretzels! Also remember that the 20% Off Williams Bakeware Sale ends this Saturday, too! Heat and stir molasses, butter, sugar, 2 cups water and 2 tbsp oil till warm (about 110F). Add the yeast and let sit for 5 minutes until milky and frothy. In a small dry skillet toast caraway seeds on medium heat till seeds begin to pop. In the bowl of a stand mixer combine the all purpose flour, salt, cocoa, and caraway seeds. Add proofed yeast mixture to the dry ingredients in the mixer. Beat on high speed for about 3 minutes. With a dough hook fitted onto the mixer, add enough rye flour to make a soft dough. Knead on low speed, until smooth; for about 5 minutes. Turn dough into a lightly greased bowl and cover. Let rise in a warm place and let rest for 20-30 minutes. Divide in two and shape into 2 round loaves on a parchment lined baking sheet. Brush the tops with a small amount of butter or oil. Remove from baking sheet and cool on a cooling rack.